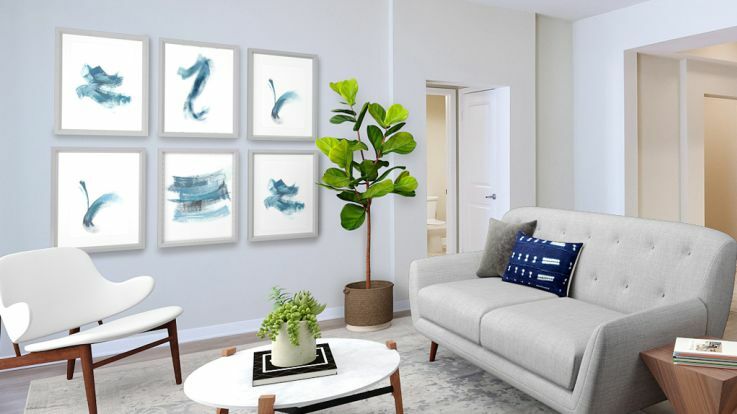 Our Arts District Los Angeles apartments are centered near a variety of attractions for art lovers and non-art lovers alike. The Arts District offers a number of galleries and theaters such as: Cornerstone Theater, Daniel Lahoda Fine Arts, and ArtShare Los Angeles. The Southern California Institute of Architecture is also located near our Arts District lofts. The neighborhood offers an array of restaurants like Pour Haus Wine Bar, e3rd Steakhouse, and Urth Caffe. Being centered around the arts, the Arts District also offers an impressive collection of unique shops and boutiques. Arts District Los Angeles apartments are located in vibrant Downtown Los Angeles. The Arts District is the thriving and vibrant hub for LA’s young, professional and creative residents. Lying on the eastern edge of Downtown, the Arts District is also close to Little Tokyo and the LA River. Stylish galleries, live music venues, theaters, bars and coffee shops sit among vacated industrial landmarks. The juxtaposition creates a thrilling character that’s unlike anything you’ve experienced before. The restaurants here are exquisite and push the culinary boundaries with delicious creations. Equity’s Arts District Los Angeles apartments have all that you are looking for in a Downtown Los Angeles apartment. Community amenities can include an outdoor barbeque and grill, garage/ covered parking, fitness center, gated entrance, and swimming pool. Individual apartment amenities can include large modern kitchens with stainless appliances and granite countertops, fireplace, dual sinks in the master bathrooms, washer/ dryer in unit, and spacious closets. Work, play and thrive in this incredible neighborhood with one of Equity’s available Arts District apartments.